Come see for yourself! and Fantastic new area in Woodlawn Beach. Close to boat launch. New paving, sewer and storm drainage. New Custom built energy efficient Earth Cents Home, Hamilton I floorplan. LED lighting, water saving dual flush ADA toilets. Energy efficient Smooth top Black and Stainless Range, built in microwave & quality dishwasher. This home has vinyl energy starving Low-E windows. Energy efficient Heat Pump Water heater & 14 SEER HVAC installed to maximize energy efficiency. Water saving toilets & plumbing fixtures. It features an Insurance $ saving Hip roof design with Architectural shingles. Quality vinyl windows, Double french doors in great room, custom front door. Inside it features tile floors in great room & also tile in all wet areas. Large Island in the kitchen with cabinets build in under. Granite counter tops with under cabinet lighting. Quality cabinets with soft close doors and drawers with staggered quality Distinct by Design cabinets with crown molding. Home has 9' ceilings and 10' /11' trey ceilings in master bedroom and great room with crown molding. Modern Rocker switches, high quality lever handles on interior craftsman quality doors and custom hardware. Crown molding throughout the main living area and master bedroom. Highest Energy efficiency Earth Cents LED Can lights in great room and master bedroom. LED lighting in exterior Soffits. Large 12 x 19 rear covered porch leading from the dining area with ceiling fan. Quality dimensional algae resistant shingles. Sprinkler system & Lawn well pump. Quality Knock down interior type ceilings & environmentally safe paint on walls, custom colored. Ceiling fans in all bedrooms, back porch and great room. EVO: electric vehicle outlet in garage. This home has the whole package. Videos are of a similar home. Colors selections may vary. This database was last updated on 2019-04-23 17:08:11. 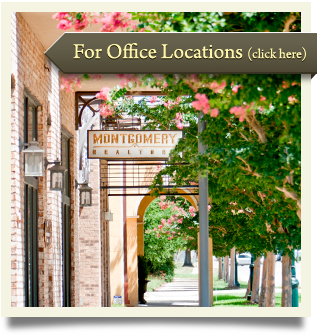 Montgomery Realtors are not responsible for and makes no claims as to the accuracy, reliability, or status of the property listings data contained on this website. 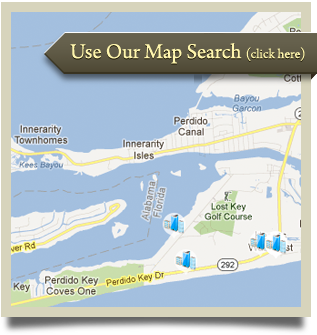 For the most current details and information about any of the properties you see on this site, please contact our office. Copyright © 2019 by the Multiple Listing Service of the Pensacola Association of REALTORS®. This information is believed to be accurate but is not guaranteed. Subject to verification by all parties. This data is copyrighted and may not be transmitted, retransmitted, copied, framed, repurposed, or altered in any way for any other site, individual and/or purpose without the express written permission of the Multiple Listing Service of the Pensacola Association of REALTORS®. Florida recognizes single and transaction agency relationships. Information Deemed Reliable But Not Guaranteed. Any use of search facilities of data on this site, other than by a consumer looking to purchase real estate, is prohibited.